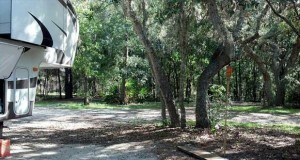 Camp Florida: I’m talking with Pete Crawlder today, at Caladesi Island State Park in Florida. How’s it going this morning, Pete? Pete: It’s going great. Another beautiful day in paradise. CF: So, let’s talk a little bit about how long Caladesi Island State Park has been there and how it got its start. 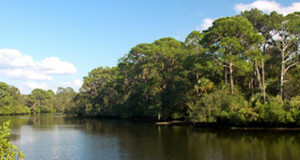 Pete: Caladesi Island State Park has been a State Park since 1967. The Island, at one point, they had talked about developing it and people in the local community lobbied the State to get it put aside as a State Park. It sits about a mile off the Coast of Dunedin, Florida. CF: Okay. And so, is the entire part actually an Island? Pete: It is an Island. The pass that was at the Southern portion closed in 1983 because of Hurricane Elena, so we’re now connected to the Island that Clearwater Beach is on, but it’s still part of an Island. CF: Sure, and so you have to hop into a boat to get to work every day. Pete: Actually, I work at Honeymoon Island, which is just to the North of Caladesi. So, I manage several State Parks, and my office is on Honeymoon Island, but Caladesi Island is just a short hop across Hurricane Pass to get there. CF: Oh, okay. 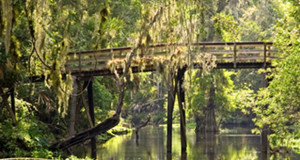 Now, what are the most popular activities at Caladesi State Park? Pete: Probably the most popular activity at Caladesi Island is just going to the beach. In 2008, the beach was rated as the number one beach in the United States by Dr. Stephen Leatherman, or Dr. Beach. But there are a whole host of other things to do. There’s great fishing out there. The boating and kayaking around the park are tremendous. There’s a 3-mile kayak trail that takes you through a mangrove forest – they actually have various – where you’d be totally surrounded by mangroves as you’re paddling around. 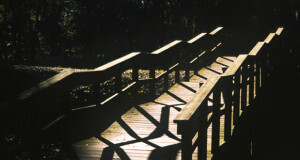 There’s also a terrain mile nature trail that’s out there. 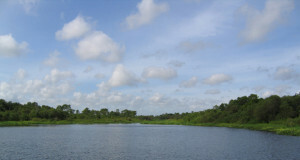 It takes you through some of the various habitats that are out there on the Island. CF: Oh, okay. Now, you guys have boat camping there, which is a bit unique. It’s something we haven’t come across yet. Tell me a little bit about how that works. Pete: Well, in order to camp out there, on the Island, you have to camp on your boat. We’ve had people stay there in boats. Some of the boats out there are 40 to 45 feet, but I’ve also seen somebody that spent the night sleeping on his canoe. CF: And how often is it? Is the majority larger boats that actually hookup to electric? 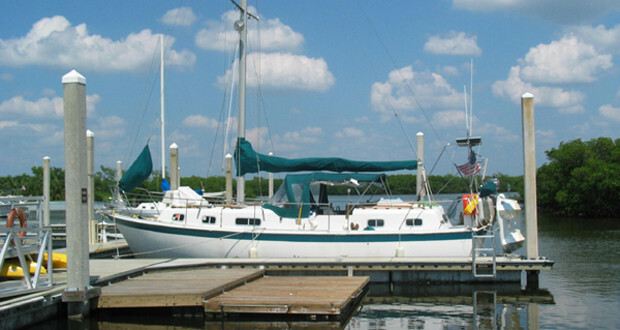 Pete: The majority of the boats that hookup to electric are 25 feet or more. You know, smaller boats normally don’t have electric on them. CF: Okay. Now, if I did have a boat and I was able to cruise in there and camp there, but in the afternoon I kind of wanted to cruise around and check out some other things, what other attractions or areas can I get to that would be fun with my boat? 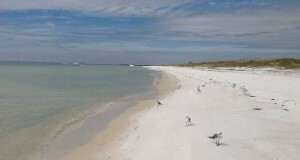 Pete: The Pinellas Coast is dotted with beaches. 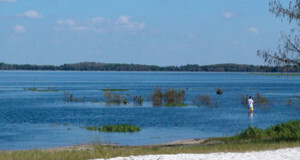 Just seven or eight miles north is Reserve State Park. There’s a fully restored lighthouse up there from the 1880s. There’s Honeymoon Island State Park that’s out there. 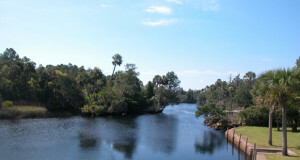 The fishing is great in this area of Florida. And then, if you wanted to head to your south, you have quite a lot of beach down that way. CF: Okay. What kind of fish are people picking up down there? Pete: Right now snook season is starting to come to an end, but we have red fishing is great down here, spotted sea trout, and our mackerel season is just kicking off. CF: Oh, okay. One more question for you. 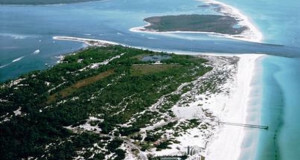 If you could spend just one hour in Caladesi Island State Park, how would you spend your time? Pete: How would I spend my time? There’s a spot on the south end of the trail. It’s probably my favorite place in the world. So, if I was going to spend an hour out there, I would hike over there and spend a little bit of time. CF: Awesome. Well, thank you so much for taking some time out of your day, Pete, to tell us a little bit about Caladesi Island State Park. Pete: All right, you’re welcome. CF: All right, take care.